After the triumph of the US tour part 1, we returned home with the usual problems with flights and checked in luggage not arriving. This time, it was John Etheridge’s guitar which did not appear on the baggage claim conveyor belt on arrival. It apparently got lost somewhere in the airport/airline system. I had had my own nervous moment when my case (including my soprano sax, clothes, pedals etc) did not appear and after a while enquiring of the relevant person at the baggage reclaim was told it was not on the system and they had no idea where it was. Standing around in the now increasingly familiar lost baggage reclaim queue, I was relieved hugely to hear from John E ‘Isn’t that your suitcase arriving, Theo?’ It was. TFI was. John’s guitar took another day to arrive, but eventually it did on a later flight. As far as check in baggage is concerned, international travelling as a touring musician is one stressful and increasingly difficult occupation. Not good. Soft Machine and the members of the earliest version of the band were very much a part of this, and were from the area, so it was a cool place to start the tour. We played the Marlowe theatre which is a great venue in the heart of old Canterbury. There was a great crowd and knowledgeable and helpful promoters. A fire alarm just before the gig was not enough to put us off our stride though it was curious seeing the entire cast and orchestra of the Pantomime in the main theatre carpark looking splendidly ridiculous. The gig was fun and I personally had a few technical changeS to my setup. For my keyboard rig I used for the first time a Mellotron sample library and in particular the rather groovy mellotron vibes for the keys parts in both ‘Broken Hill’ and ‘Fourteen Hour Dream’. It gives the tracks quite a sixties vibe which I like (‘The Prisoner’ anyone?). Also I used a different tenor saxophone. I have both a Signature Custom RAW and a Selmer Mk VI (for the sax geeks out there). So far on all of this tour I have been using the Signature Custom exclusively which is a great instrument but for this gig I thought I’d use my trusty old Mk VI which is the main tenor I have used for 30 years. It did feel fantastic, a bit like getting together with an old close friend, and one of the band mentioned he thought the sax sounded really good tonight too. Next gig was a few days later at the Sage in Gateshead. We all drove up in a tour van with our excellent tour manager Nick Utteridge, and eventually arrived at our well located but rather odd riverside hotel. I think it was new and there were bizarre things missing, like bedside tables, toilet roll holders and surfaces where you could actually put anything. There was also an incongruous American diner and some seating on a converted school bus. But lovely staff and it was basically fine. The Sage venue is an impressive Norman Foster designed building. P.J Proby and the Searchers were appearing in the main hall on the same evening so the place was packed. Everything about our gig was well organised and the staff were very helpful. We had a lively and responsive crowd and it was great to meet up with my friend the (very) knowledgeable music writer and top bloke Sid Smith, after the show. 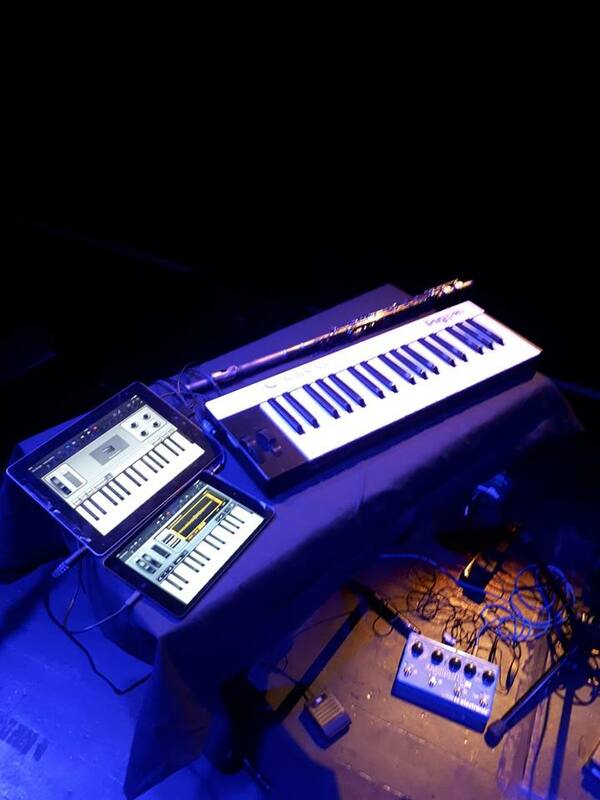 I changed a few things about my keyboard set up on the gig which is currently constantly in a state of flux. I think it worked but I will probably change it again tomorrow. Just before the encore, Roy broke a string on his bass, so while he was changing strings we played an unscheduled additional track- ‘Out of Season’ from the Softs album which I think went OK. So, a good gig and a good night. Next day was a travel day so in the morning we had a stroll along the Tyne from our hotel to the centre of Newcastle and Gateshead and back and then after lunch drove up to Kinross in Scotland.